Like every year the English advanced courses went on a one week trip to an English speaking place. 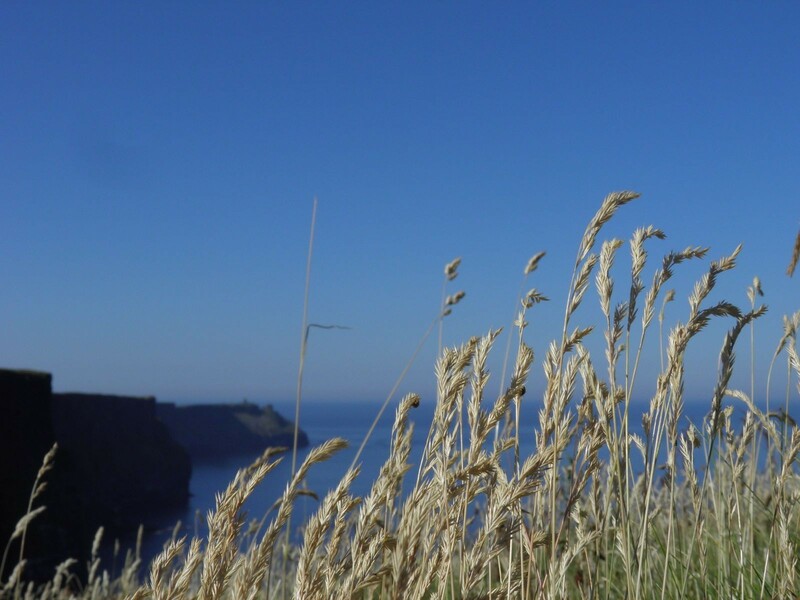 This year, we had the opportunity to see one of the most beautiful places in the world, culture- but also naturewise! 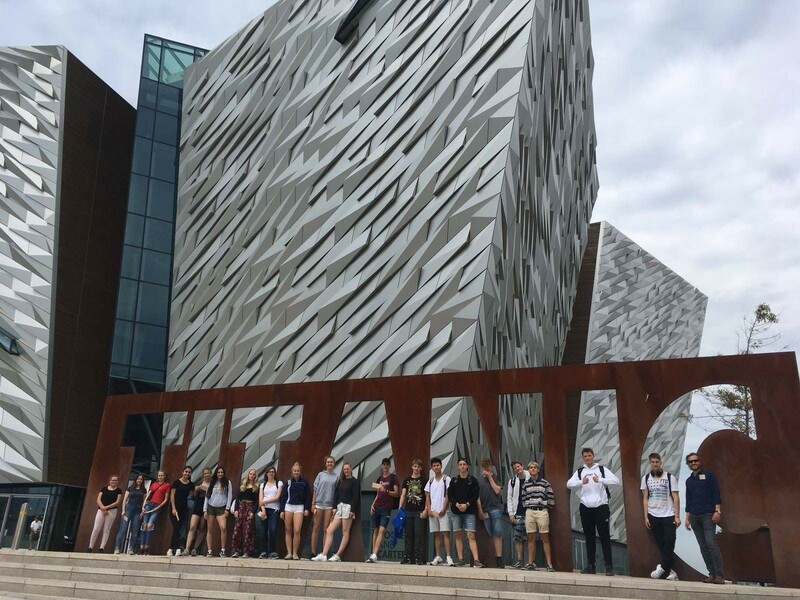 Mr. Olrogge´s and Mrs. Cornelis´ courses went to Dublin! The trip was well organized, even though there were a few difficulties regarding the passport of a student. We stayed in a hotel („The Generator“) near the city center, which we got to know better by doing a rally in groups. 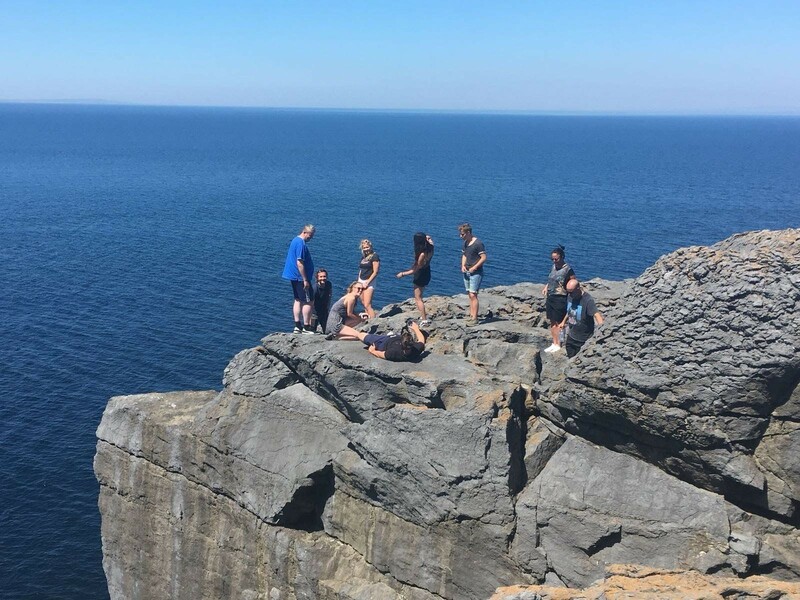 Even if both of the courses would have also enjoyed only staying in beautiful Dublin, we did a few fascinating trips to the surrounding land e.g. 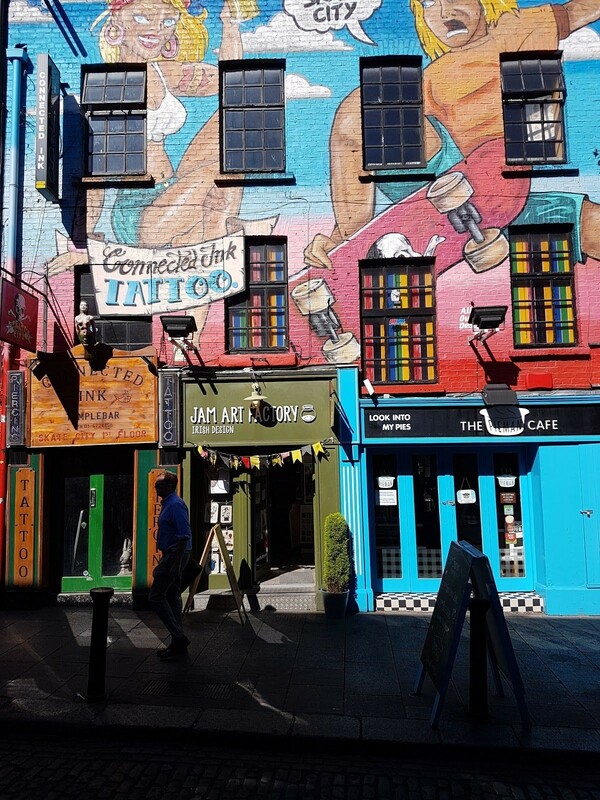 “the cliffs of Moher”, Belfast and the “Titanic museum”, and a variety of other Irish museums where we got to know the cultural discrepancies of the different beliefs in the country and their conflicts. But everyone also enjoyed their given free time as well! And did I mention that the whole 5 days we stayed on the island there was no sign of clouds or rain; only 25-30 degrees and sunshine! Who would have guessed that you can take a sunbath in Dublin?! Die beiden Leistungskurse von Hrn. Olrogge und Fr. Cornelis hat es bei ihrer diesjährigen Abschlussfahrt nach Dublin verschlagen! 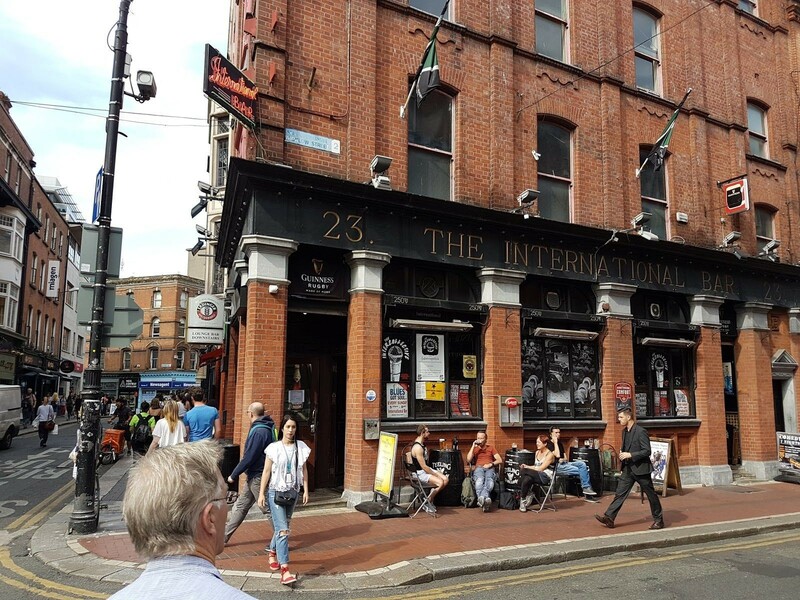 Die 5 Tage zeigte sich Dublin und das Umland von seiner besten Seite, so dass man 5 Tage Sonnenschein und 25-30 Grad genießen konnte. Die Tagesausflüge waren super organisiert und geplant. Mit dem Bus sind die Schüler und die Lehrkräfte über die Insel gefahren worden, sind an den spektakulärsten Orten angehalten und durften sie auf eigene Faust erkunden, wie z.B. 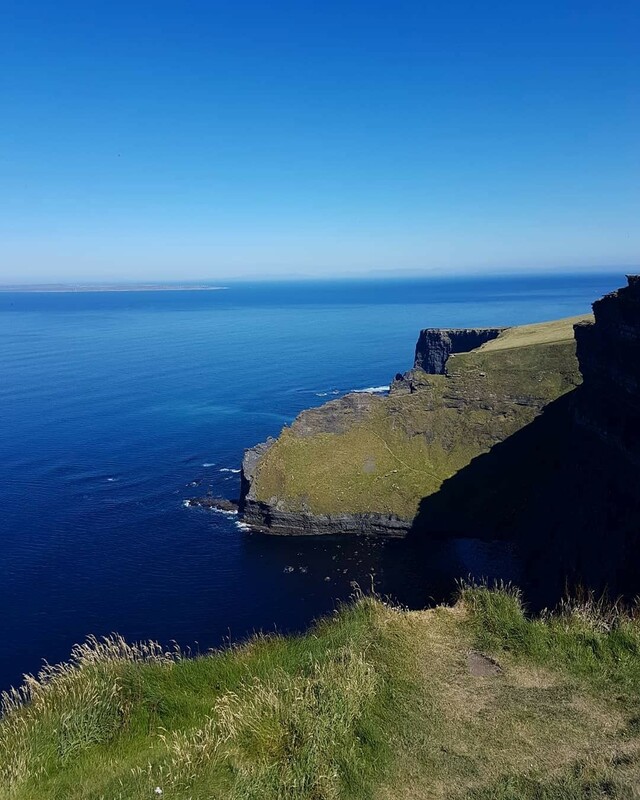 die “Cliffs of Moher”, eine Vielzahl von Museen, Belfast wie auch das “Titanic” Museum und vieles mehr. Aber trotz der vielen Aktivitäten und Trips, die alle Kurse zusammen unternommen haben, hatten die Schüler durchaus mehr als genügend Freizeit um Dublin “Downtown” zu erkunden! Alles in allem eine unvergessliche und informative Kursfahrt!